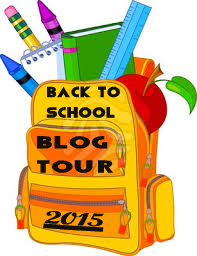 Welcome to day 2 of the Back to School Blog Tour. If you haven’t tried to sign up for the 4 giveaways going on, they are listed at the Back to School Blog Tour Page. There are still several days left. Entering is easy. From liking authors on Facebook to commenting on their blog, you can enter to win fabulous children’s books, children’s ebooks, and Amazon Gift cards. 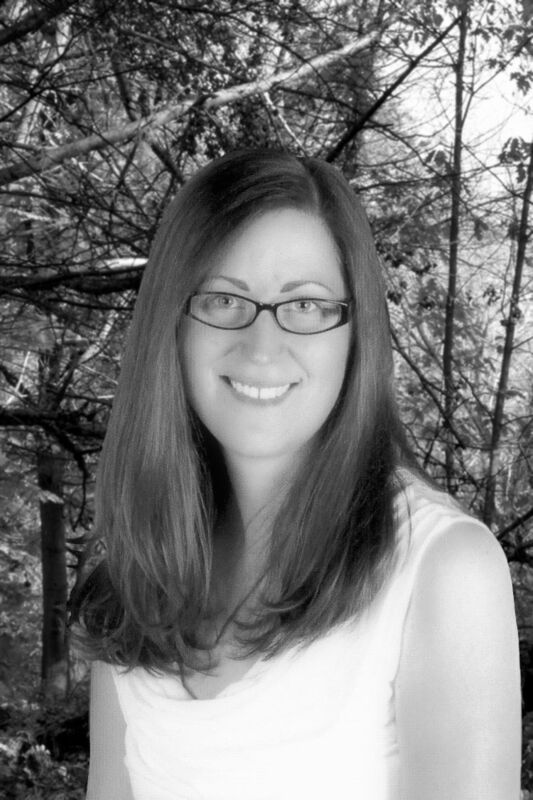 Today’s featured author is Rachel Elizabeth Cole. I got to ask Rachel about her school memories, writing inspirations, and upcoming Rabbit series books. I absolutely love them! It might be the teacher in me that I’m a sucker for a cute bunny eating homework, but it’s a great title, book, and she’s an amazing writer. I hope you enjoy her interview. Rachel Elizabeth Cole is the author of soon to be released “The Rabbit Ate My Flipflops”. 1) Who was your favorite author, and how did they influence your writing? Rachel: When I was a kid, my favourite author was Gordon Korman. He’s a fellow Canadian who wrote his first book when he was twelve and in Grade Seven. It was published when he was fourteen. That really inspired me to think that if he could write and publish a book, then so could I! 2) What is your most remembered Back to School memory? Rachel: I don’t have a particular Back to School memory, but I always enjoyed school and learning, so I looked forward to going back every fall. I liked how the classrooms were so clean, the chalkboard washed and shining, the desks empty and waiting for students to put them to use, new books, new pencils, new shoes, new clothes. And, of course, the opportunity for new friends and new learning experiences. 3) Did you have any subjects that were difficult for you in school? Rachel: Math. I still struggle with simple arithmetic like multiplication and subtraction—and forget long division! I found it discouraging that all the other kids seemed to get the concepts down so quickly, while I struggled and struggled. Thank goodness for calculators! 4) What helps motivate you to write a story? Rachel: The best motivation for me is knowing I’ve got readers eager and waiting to read my books! I write to connect, to teach, to share, to move, to entertain. The best feeling in the world is when readers—especially the reluctant ones—tell me they’ve read my book and loved it so much they’re eager to read more! 5) How would you summarize how writing is for you in one sentence? Rachel: For me, writing is like breathing. Rachel: I’m about to start work on The Rabbit Ate My Hall Pass, the third book in The Rabbit Ate My . . . Series. Her Rabbit Ate My Homework series is available on Amazon. Purchase links below. 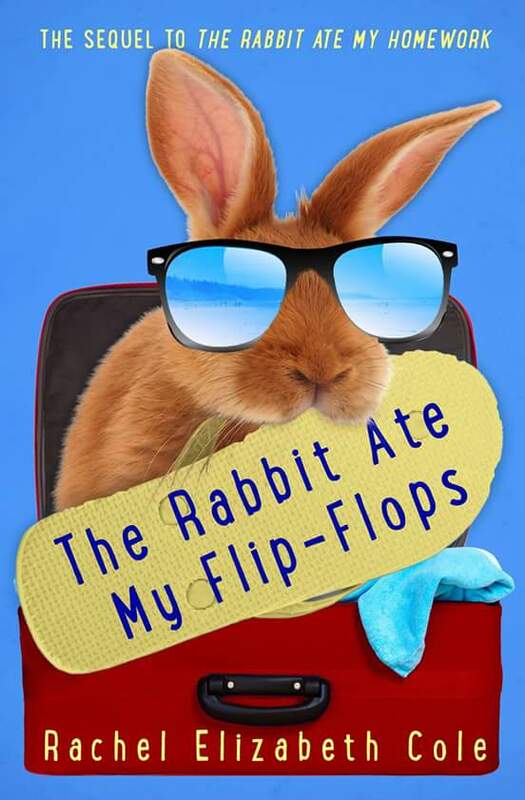 The Rabbit Ate My Flip-Flops releases on Sept. 9 on Amazon. Preorder available now. Her new book, The Rabbit Ate My Flipflops, releases tomorrow Sept. 9.